A stunning beautiful gift to say a very big happy birthday!. 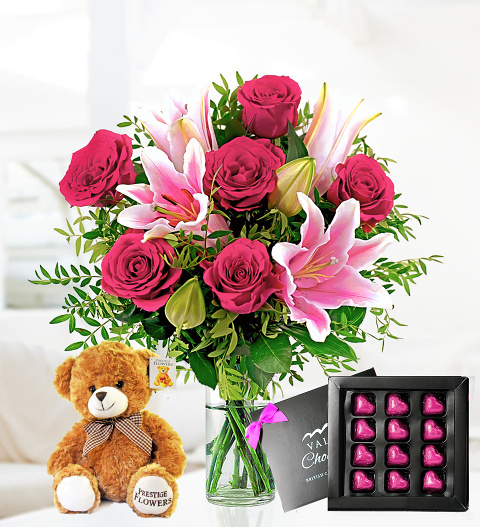 The bouquet includes stunning long-stemmed lilies, roses, as well as pistacia. We have also included delicious British Crafted Chocolates and a lovely Teddy Bear that she can cherish for years to come.